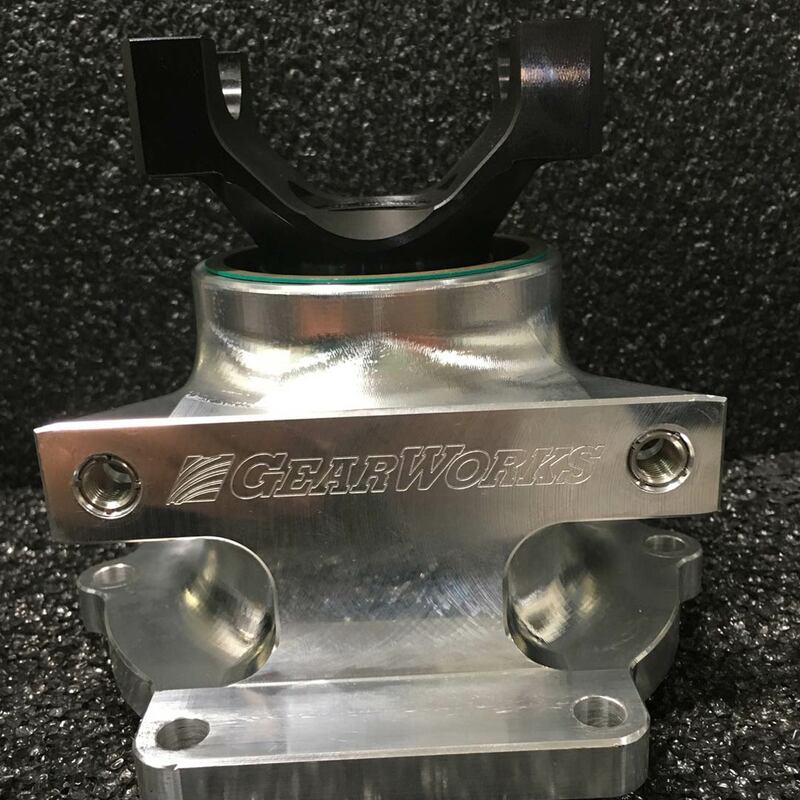 TH400 Billet Tailshaft Housing (Standard Length) - Gearworks Inc.
Our 6061 T6 tailshaft housing features dual SKF roller bearings spread apart for maximum rigidity a triple lip seal and billet 1350 yoke. This yoke uses standard Spicer U-Bolts or our billet chromoly caps. 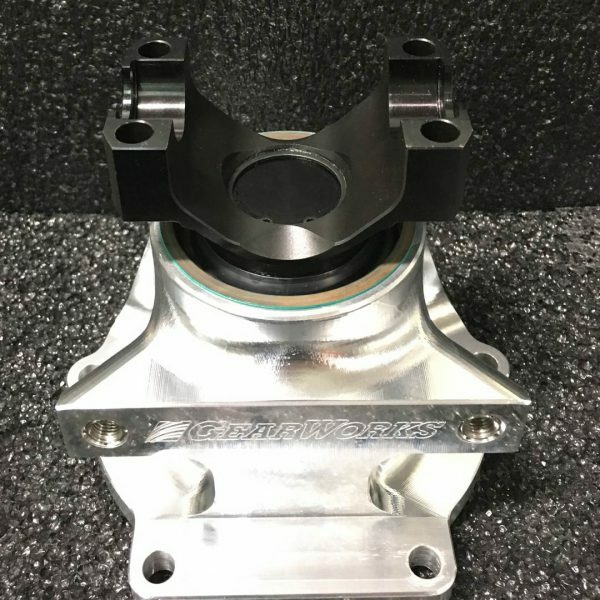 Also available with a Billet 1480 yoke. 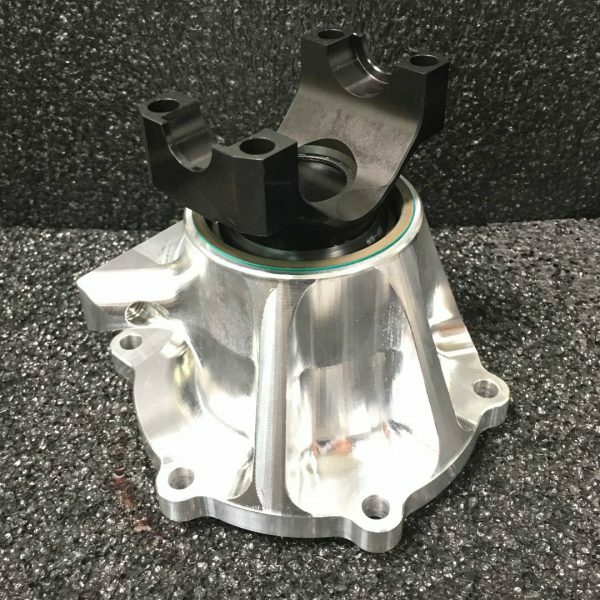 Distance from mounting face to U-Joint center 5.5″. Includes O-Ring and Grade 8 Flange head mounting bolts.